Creating system backup is a good practice to avoid any kind of data loss, this is the way through which one can get back their precious data back after any kind of data loss issue. There are lots of situation that can generate data corruption or data inaccessibility issue in Windows 10. If you want to protect your valuable data by creating a backup then don’t worry as this task is very simple. In Windows 10 and 8.1 a feature is available that able to create image backup of complete data. With the help of image backup creator one can create backup of every single bit of information in Windows 8.1 and Windows 10. Under this backup all the information related to Operating system will be present such as complete installation of the operating system, settings, desktop programs, Windows apps, and all your personal files. The main advantage of this feature is that it provides a complete restore solution in case of a critical software error or hardware failure. This feature also have some disadvantage, one of the major disadvantage is one cannot select an individual file to restore. Hence you have to restore everything, bit-by-bit to the same (or replacement) hard drive. Although, user can simply access the backup files and extract documents, images, music, and other files, if they need to. Along with, this backup feature will become ineffective if user doesn’t backup regularly and a system failure occurs. In this situation lose of valuable documents, settings and software may happen because you can only restore the data since the last backup. Step 1:Open control panel, to do this click on the Start button and go to the Control Panel. Step 2:Click on the File History. Step 3: In the File History, click on the System Image Backup link which is present in the bottom-left corner of the screen. Step 4:Now you need to connect an external USB hard drive that have enough free space to store image backup. Step 5:a backup wizard will be prompted, select from one of the three options to save the backup. In this scenario, we are going choose the hard drive just connected. However, always remember that you can store backup to blank DVD and a network share, but these both options will slow down the backup process. Step 6:Click on the Next. Step 7:After it, confirm and start the process by clicking on Start backup. The backup creation process could take anywhere from 10 minutes to 2 hours, the time taken by this process will be depends on the amount of data to be backed up. Don’t worry; as you can use your computer as you would normally do while creating the backup process. After the completion of System Image Backup creation, remember to keep the hard drive in a safe place. 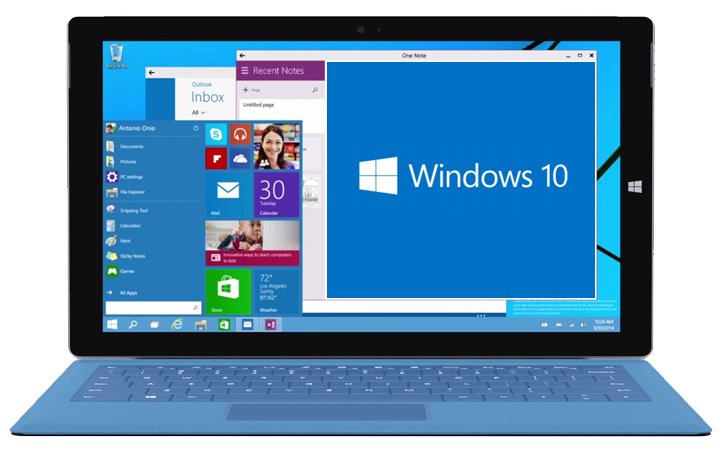 You should also know about Automatic Maintenance Feature in Windows 10 & 8.1: Disable/Enable, Features & more! After knowing how to create backup of your entire system data, now read about how to restore the previously created backup in Windows 10. If you are able to boot your system normally: Go to the Start > Settings > Update & security. Choose Recovery in the left pane, then choose Restart now. If you are not able to boot Windows and you have a System Repair Disc:Insert the disc into your optical drive and boot your system. You will be asked to “Press any key…,” press any key. Then pick a language. If you are not able to boot Windows won’t and you have a Recovery Drive:Attach the Recovery flash drive into a USB port and start your PC. If your system skips the flash drive and tries to boot Windows, restart and enter your Setup screen. Find for the boot or boot order option. After successfully booting your system the flash drive, choose a language. Related Posts of "Steps to Create and Restore Backup Windows 10 and 8.1"
How to fix error “remote desktop connection has stopped working” in Windows 10? How to fix Nvidia driver issues with Windows 10?